After you log in to the zone as the zone administrator, you can set access controls for the zone. Under System, click Access Control for Zone Administration. Click Add a User, start typing the user’s name, then select the user from the drop-down list. Select the check box in the Zone Administration column. (Optional) Add roles, as described in Section 2.4, Managing Roles to Refine Access Control. 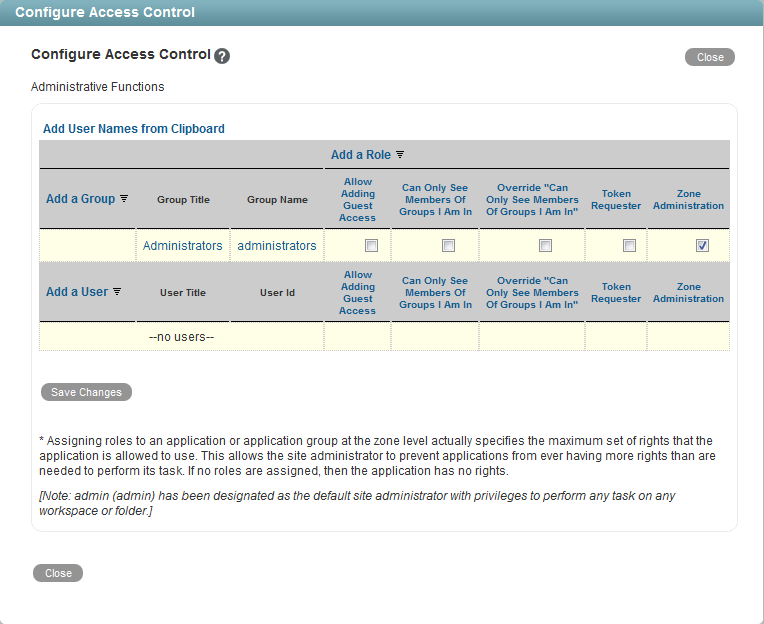 (Optional) Set other access controls for the zone, as described in Controlling Access in the Novell Vibe 3.4 Advanced User Guide.